We sell only items that we absolutely love ourselves, with the utmost style and appeal- couture accessories and fabulous products, especially for small dogs. A unique caliber of service & products for an elite experience. We choose, create, and design products that we use personally in our own households for our own furry-babies. We strive to specialize in products especially for small dogs which is our primary goal, however, BIG DOGS NEED LOVE, TOO! So we also try to provide products where possible for big dogs so check our store out! That's Why! 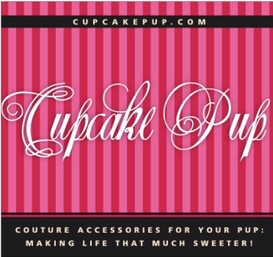 At Cupcake Pup, we are focused on providing the highest levels of customer satisfaction – we will do everything we can to meet your expectations. Our vision is for that owner who lavishes their small dog, to the point you want to take your pup everywhere you go so we sell bags just to do so, and many other products to sweeten your pup & you along the way! Discreetly hide your little-one in a carry-bag while going on errands, or even use it for yourself for work or a party this stuff is that fab! CAUTION! Our stuff is so sweet for your pup, you may become self-indulgent- so don't forget to get extra, too! The owner chose or designed these for her own small dogs, but wanted products with flavor best described as "sweet" & "couture" and is ecstatic to share them with everyone else! Look around our website and if you have any comments or questions, please feel free to contact us. We hope to see you again! Check back later for new updates to our website. There’s much more to come!